On June 7th, 2017 Lions Clubs around the world are celebrating the 100th anniversary of Lions International. This is a special time for our members – for the past 100 years, Lions clubs have served their communities and touched the lives of millions of people. 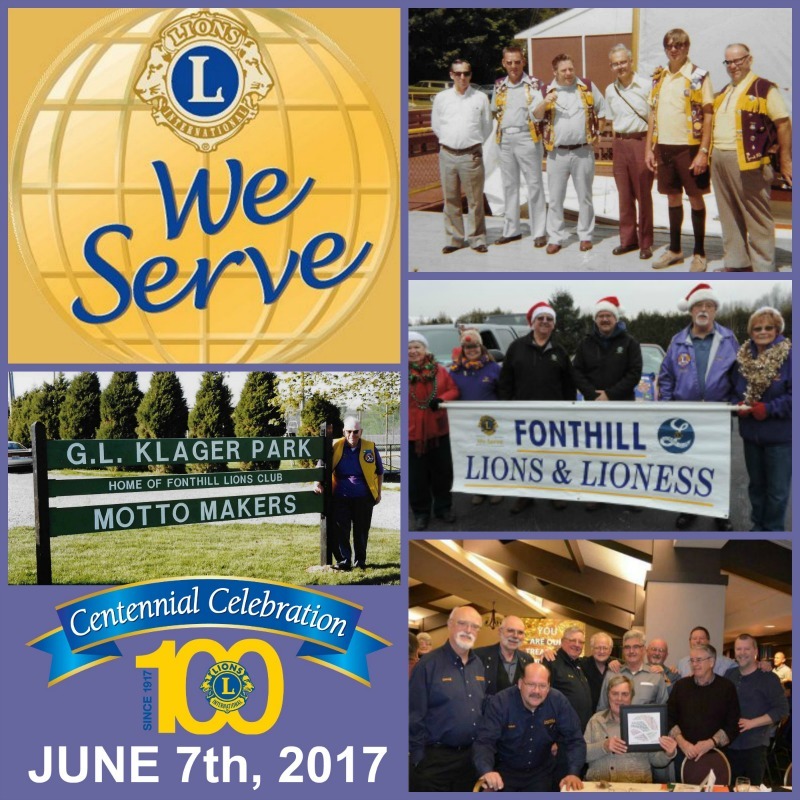 Lions Clubs International was built upon two words: “We Serve” and the Fonthill Lions are known throughout the world for creating this motto. 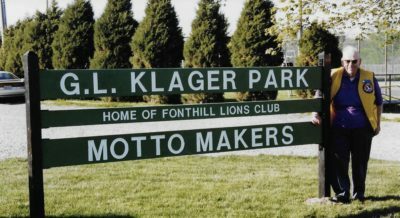 In 1954, Fonthill Lion Doug Stephenson submitted this simple yet powerful phrase into the Lions International motto contest and was chosen from 6,000 entries. 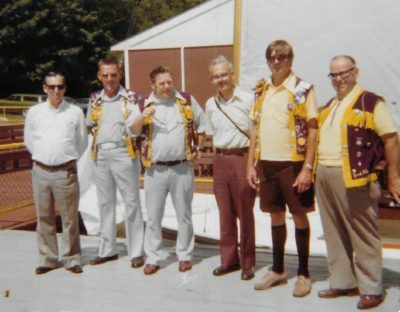 The Fonthill Lions Club started with 24 members in 1945, receiving its charter on April 3, thanks to sponsorship from the Welland Lions Club. Throughout their history the Fonthill Club have hosted a variety of fundraising events and have been strong supporters of sports and recreation in the Town of Pelham. 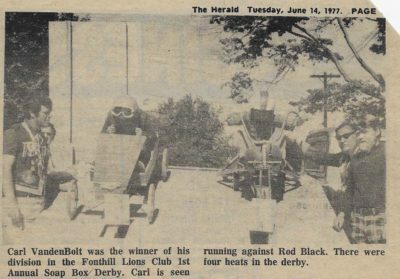 We have fond memories of our Fonthill Carnivals, Walk-a-Thons, Soap Box Derbies, Parades, Canada Day BBQs. The list goes on and on. Being a Lion is a family affair and contributing to youth projects has always been a big part of our legacy of service. in 1970 by the Lions Club. The park continues to serve the community today and recently became home to Canada’s first sanctioned FPV Drone Racing Course. The Centennial milestone is an opportunity to reflect on our past and plan for our next century of service. Our Club is in a rebuilding phase. We welcome new members to join us and help us keep doing what we do best – serving others. The Fonthill Lions Club meets on the 1st and 3rd Tuesday at the Fonthill Lions Hall, 103 Hurricane Rd., (at Hwy 20) Lions clubs are a group of men and women who identify needs within the community and work together to fulfill those needs.